Charles and Ray Eames brought a sense of play to all their work, including the Hang-It-All. 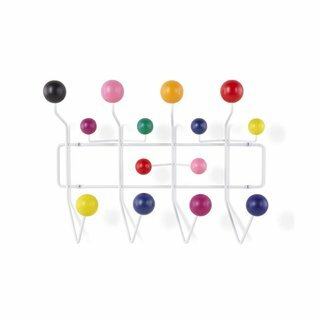 It took the everyday coat rack to a new place that was inventive and fun. More than just a conversation piece, the Hang-It-All holds anything that slips over its 14 hooks.